You can use Kylo’s Provenance API to create custom Provenance Events that result in Jobs/Steps in Kylo Operations Manager. Add the provenance api implementation as a dependency. An example Program might look like the following. Complete example code can be found here. Import the kafka_provenance_to_jms feed. 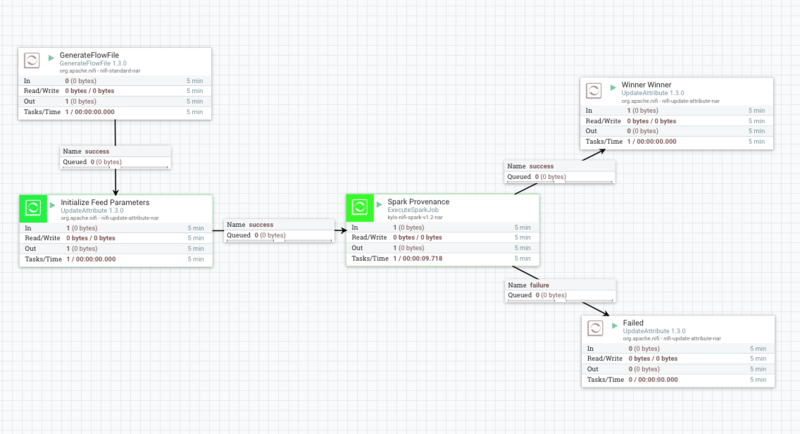 kafka_provenance_to_jms.feed.zip This is a system wide template that is listening to 2 kafka topics for batch and streaming data and publish the events to JMS. The Sample Spark App with Provenance Feed is below and only has 4 processors in the template and thus will only create 4 steps for the job execution in Kylo. 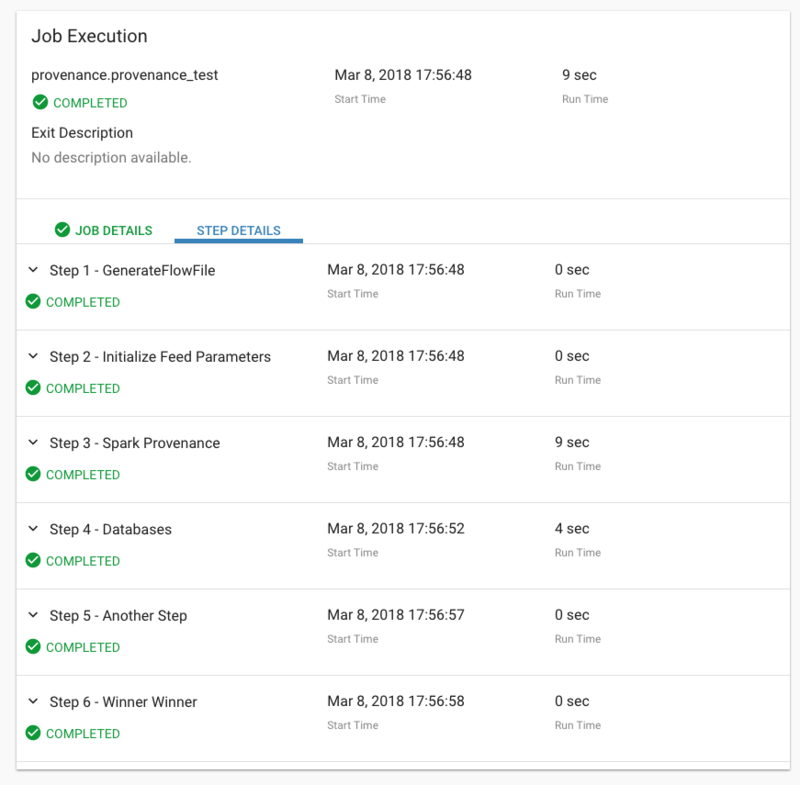 The actual Spark application has provenance code that will create 2 additional steps after the Spark Provenance step for each job.